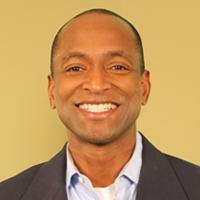 Derrick L. Miles is the Chairman and CEO of The Milestone Brand Inc., a professional development and training company helping corporations and individuals alike achieve “Superhuman Performance®.” He is an author, speaker, inventor and entrepreneur. Prior to establishing The Milestone Brand, Miles worked for 12 years in hospital leadership, holding numerous executive-level positions in health care organizations across the country. He led operations and logistics for facilities with more than 140,000 patients and that served more than 40,000 children each year. He received an MSHA and MBA from the University of Alabama at Birmingham. He is Board Certified in Healthcare Administration by the American College of Healthcare Executives.